The CES event is in full swing and Asus has announced its latest offering at the show which is the talk-of-the-town these days. 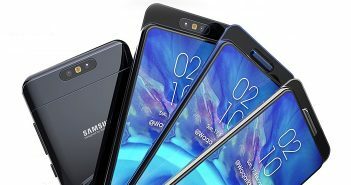 The Taiwanese smartphone maker has revealed a new Zenfone device featuring dual cameras setup on its back. The smartphone is called as Asus Zenfone AR which is a combo of top notch specifications and advanced features from Google. The Asus Zenfone AR is the world’s first smartphone to come with Tango technology with premium features. Undoubtedly the Lenovo Phab 2 Pro is the first Tango-enabled device but it comes second in overall specifications. In addition, the Zenfone AR features support for Google Daydream VR alongside the Tango. The first of a kind features list does not end here as Zenfone AR is the first smartphone to feature 8GB of RAM in it. Let’s take a close look what the Asus Zenfone AR offers. As mentioned, the Asus Zenfone AR will be the second smartphone to come with Tango features as Lenovo Phab 2 Pro is already unveiled. However, the Zenfone AR is much slimmer, more handy, and lighter than the Phab 2 Pro. The Zenfone AR flaunts a full metal frame which is surrounded on the sides of the phone. On the rear panel, there is a very soft leather finish which feels very nice in hands and also provides a strong grip. On the back, there is a 23MP camera along with the optical hardware which is essential to operate the Tango applications. The setup includes a depth sensing camera and sensors for motion tracking. The Tango module on the rear panel has acquired the space where Asus usually offers the fingerprint sensor. But wait, the fingerprint sensor is embedded in the physical home button. Besides Tango, the Asus Zenfone AR is also compatible with Google’s Daydream VR platform. Having compatibility with the Daydream View or other Daydream headset ensures that the smartphone is competent to deliver great mobile VR applications on it. Coming to the specifications of the Asus Zenfone AR, the smartphone features a 5.7-inch QHD (1440×2560 pixels) Super AMOLED display powered by a Snapdragon 821 processor. Interestingly, the Zenfone AR will offer either 6GB of RAM or an enormous 8GB of RAM, which is first for any smartphone. The handset will run on Android 7.0 Nougat OS with Asus ZenUI on top of it. 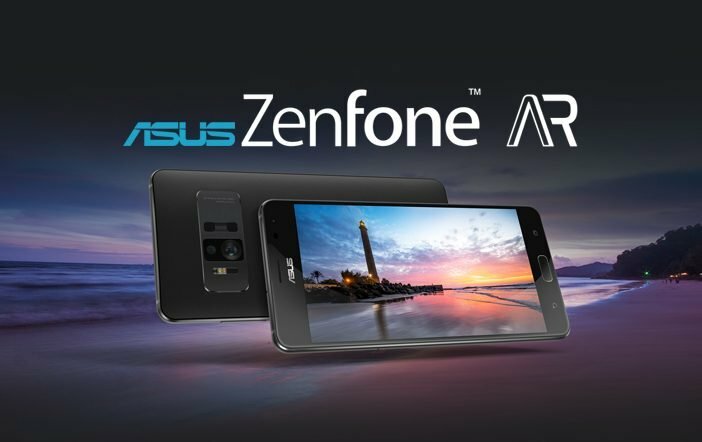 The Asus Zenfone AR smartphone is expected to get launched in the second quarter of this year.